Judd Apatow on filmmaking mentorship and what fuels his work. The writer and director talks about finding hope in his movies even if there is an existential crisis at their core. 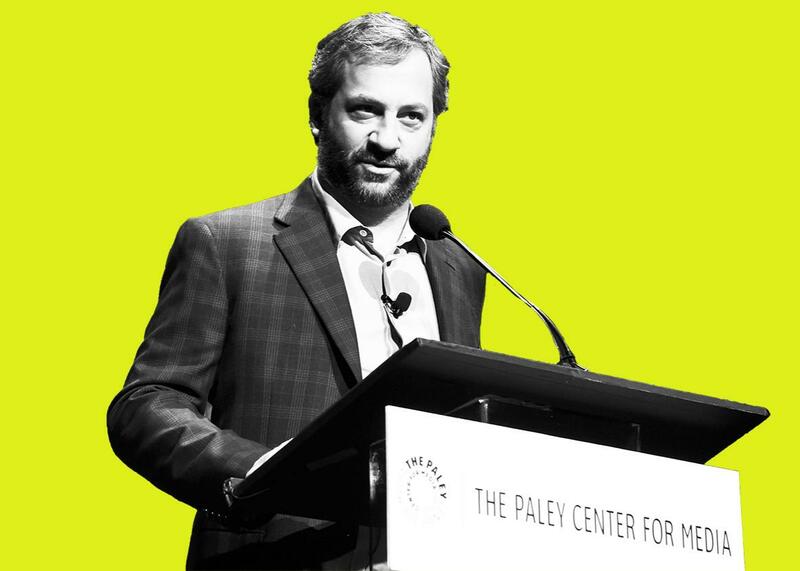 Judd Apatow speaks onstage at the Paley Center for Media, March 8, 2015, in Hollywood, California. This week on The Moment, Brian Koppelman talks to Judd Apatow, the writer, director, and producer of, more than likely, one of your favorite movies or shows. Today, Judd discusses the impact of Steve Martin on his career (2:00) and the existential conflict that fuels his work (13:00). Plus, Judd talks about his role as a mentor for Amy Schumer and Lena Dunham (22:00), how he manages a writers’ room (30:00), and why he may be looking to do something different on his next big project (36:00). Judd’s new series, Love, is available this Friday, Feb. 19, on Netflix. And Girls returns on HBO this Sunday, Feb. 21.